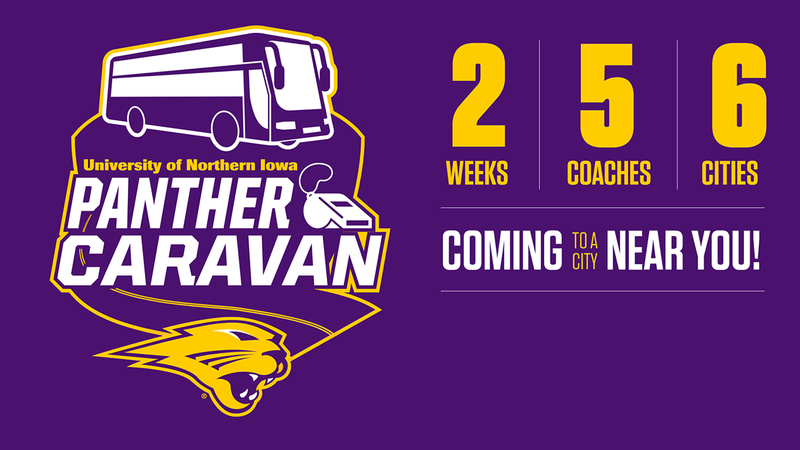 The Panther Caravan is coming to a city near you! Do not miss your chance to hear from five UNI coaches and other special guests. There will be food, activities for the kids, and a chance to reconnect with Panthers from your area. We hope to see you there! Sign up below. When: May 13, 2019 • 6-7:30 p.m. • Program @ 6:45 p.m. When: May 15, 2019 • 6-7:30 p.m. • Program @ 6:45 p.m. When: May 21, 2019 • 6-7:30 p.m. • Program @ 6:45 p.m. When: May 14, 2019 • 6-7:30 p.m. • Program @ 6:45 p.m. When: May 20, 2019 • 6-7:30 p.m. • Program @ 6:45 p.m. When: May 22, 2019 • 6-7:30 p.m. • Program @ 6:45 p.m.